As a family owned and operated Australian brand, RB Sellars knows the importance of family values and community. 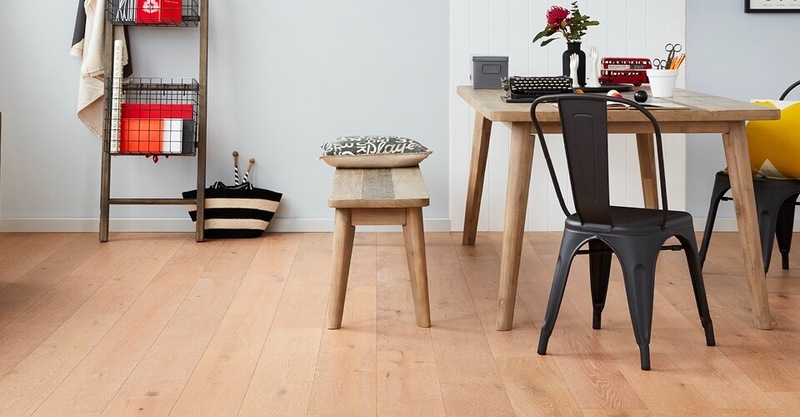 Inspired by the Australian landscape, community and the everyday Australian, RB Sellars was formed in 1996. Today their range includes functional, and hard wearing workwear for men and women, plus a vast collection of casual wear, durable paddock wear and a range of kids wear that’s easy to care for and comfortable to wear. 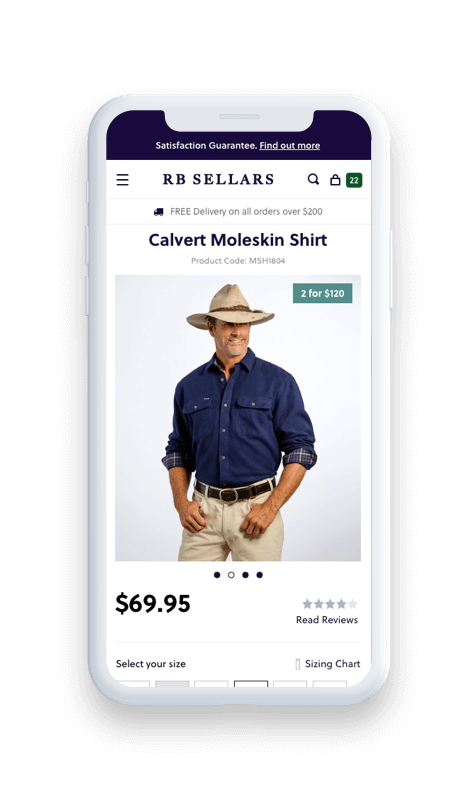 Balance Internet began working with RB Sellars to migrate their existing website to a best practice Magento Commerce Cloud platform. The platform needed to be highly customisable to allow for a complex set of promotions for B2C customers. 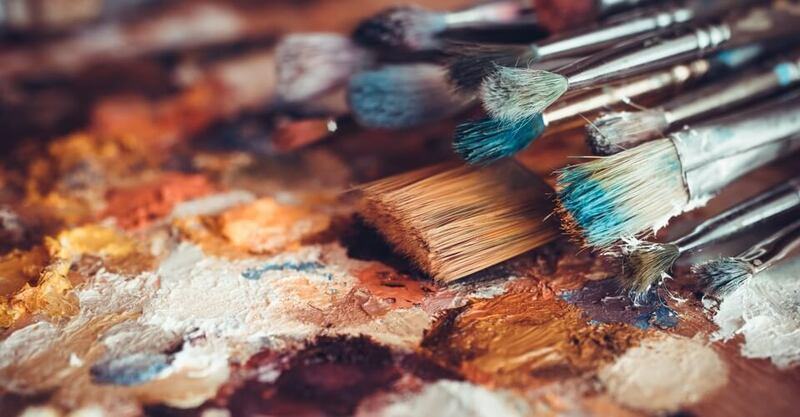 Additionally, provide a stable and flexible platform to allow for the introduction of B2B in future development phases. 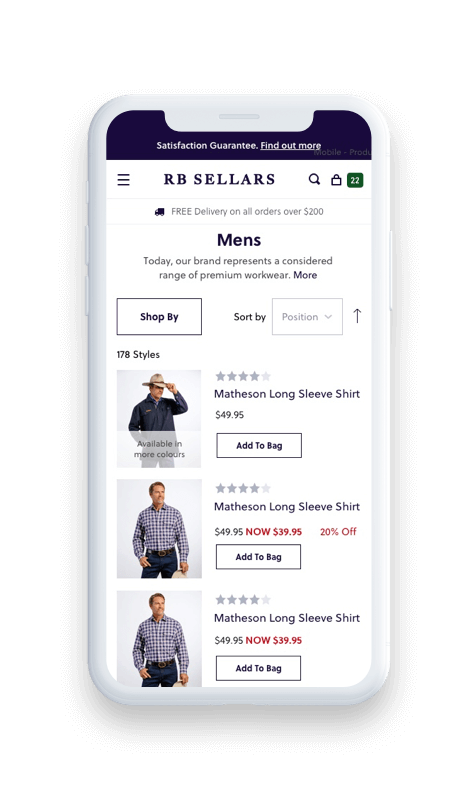 Balance Internet developed a Magento Commerce Cloud platform with market-leading functionality to further strengthen customer loyalty and improve sales while staying true to their values of remaining affordable, accessible and always providing clothing that is fit for purpose. 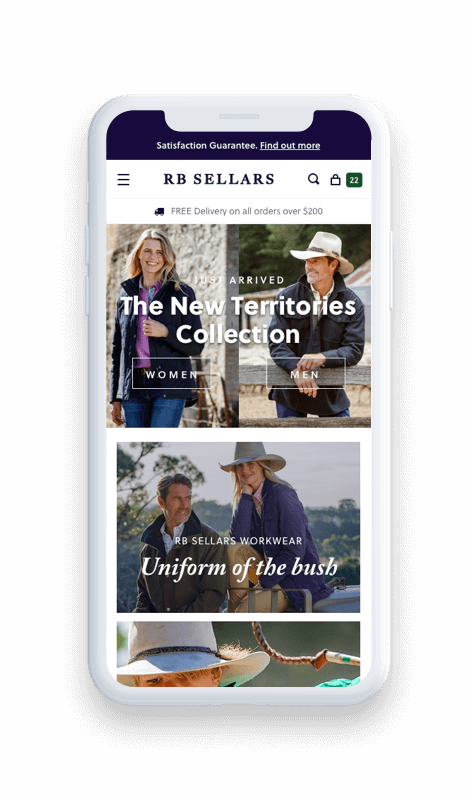 In addition to the development and delivery of the Magento project, the team at RB Sellars were trained and empowered to manage the day to day marketing and operational aspects of the platform. Get updates, news, industry events and tips to increase conversion rate.